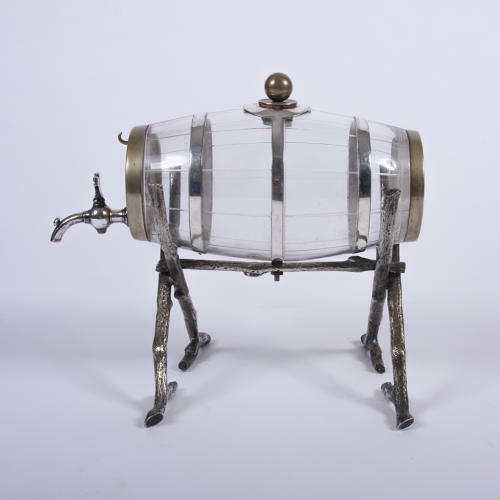 This fantastic spirit decanter in the shape of a barrel is made from banded glass and is presented on a silver plated 'twig' stand. With a cork stopper on top and a fully working twist tap. This is a great item for any bar or table.